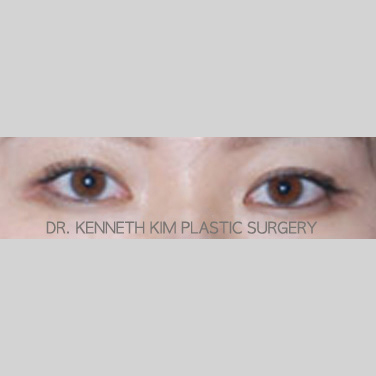 Korean Asian eyelid surgery, otherwise known as the double eyelid surgery, is most conventionally known as a method that creates a defined crease above the eye. 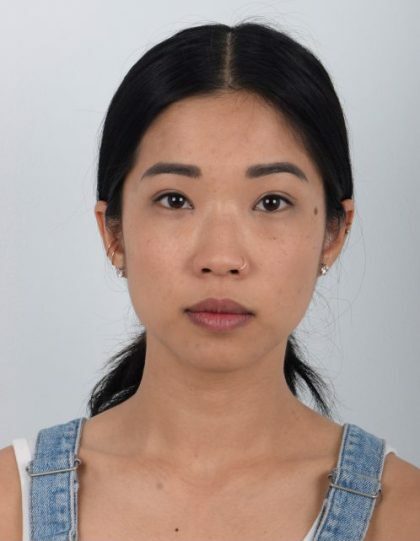 Many Asians, especially those with an East Asian background, are not naturally born with a distinct crease. They either have a single eyelid (monolid) or a crease that is barely noticeable. In the earlier days, Asians resorted to various methods to enhance the appearance of their eyes with designated tape or adhesive glue. These tools are still very popular among Asian women today. 3 Why Do Asians Undergo Eyelid Surgery? Another method that has become extremely technologically advanced in the past two to three decades is double eyelid surgery. 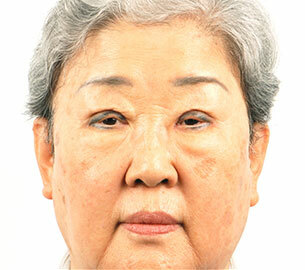 Double eyelid surgery has become the most performed operation among South Korean plastic surgeons. It has been able to give patients a much more beautiful and vibrant appearance through the desired formation of a crease. In the more technical sense, however, the surgery has become much more detailed with respect to the patient’s face as a whole. In the past, the surgery simply consisted of creating a crease on the eyelid. The outcome of the simple method proved to be inconsistent, causing unsatisfactory results such as unmitigated swelling or an unnatural appearance. Today, with the pioneering efforts made by some of the leading plastic surgeons in South Korea, double eyelid surgery has become an extremely sophisticated procedure. It now involves much more than just the formation of a crease, such as alteration of the size and shape of the eyes to balance the rest of the patient’s face. 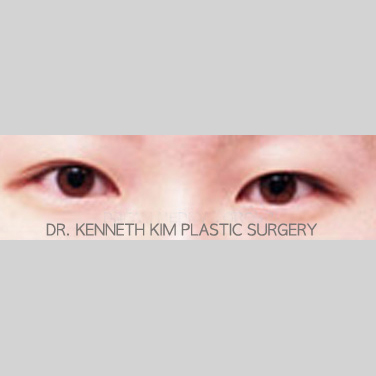 Dr. Kim has extensively studied and fully practiced this new and enhanced type of double eyelid surgery; he customizes his operations for each of his patients based on the rest of their facial features. Why Do Asians Undergo Eyelid Surgery? People may wonder why there is so much interest surrounding Asian eyelid surgery (also commonly referred to as double eyelid surgery). Some may also question the necessity of the double eyelid fold on the East Asian eye. There is much intrigue and skepticism surrounding the cultural obsession for larger eyes and the measures taken to emulate the stereotypical Western facial features. Some may claim that Asians are more inclined to conform to social trends and influences and undergo plastic surgery for social acceptance. While these perceptions are valid and carry some aspect of truth, there is more to consider. What many people neglect to consider is the notion of a universal type of beauty, the type that is understood by most if not all people and can be agreed on in a general sense. Some of the more familiar attributes to this universal beauty include fuller breasts, longer legs, and a clear complexion. These objectively desirable features are not particularly affiliated with a certain race or ethnicity, but are simply known to enhance a person’s physical image. Similarly, bigger and brighter eyes among these features can be attributable to the criteria of universal beauty. Therefore it can be said that Asian women undergo eyelid surgery not necessarily to mimic the Western features but to look more beautiful. The eyes are a prominent feature that can be distinguished from the rest of the face and body because of its dynamic properties. The saying “the eyes are windows to the soul” is a frequently heard cliché as the eyes play a pivotal role in expressing personality, emotions, and the inner workings of a human being. As such, the eyes are a unique trait for each individual and should not be copied from patient to patient. The eyes should be customized and tailored to the patient’s unique facial features and should optimize their facial harmony and balance. The eyelid surgeon should be fully aware of this, and offer his/her own surgical sensibility and aesthetic expertise in determining the best possible shape and size for each patient. The ideal beauty dimension brings harmony and balance to the overall face, especially the eyes. The ideal beauty dimension for the eyes is achieved when the distance between the eyes is equal to the width of an eye. Asians with epicanthal folds–excess eyelid skin, muscle, and fibrous banding that is present on the nasal side of the eye–have relatively wider distances between the eyes and have shorter eye widths than those without. These excess tissues decrease the horizontal dimension of the eye nasally, while increasing the distance between the eyes. The epicanthal fold also creates a widening effect on the bridge of the nose and overall face. Patients with an epicanthal fold tend to have a sharp inward turn nasally in the eyes; this can make someone appear harsh. And in other cases, patients with epicanthal folds can appear dull. Horizontal eye enlargement is a commonly performed procedure in South Korea and is often simultaneously performed with the double eyelid surgery. Horizontal eye enlargement is the medial and/or lateral enlargement of the eyes which is performed by two techniques: epicanthoplasty and lateral canthoplasty. In order to create aesthetically beautiful eyes, the eyes have to be an appropriate size in relation to its shape. In some cases, this cannot be accomplished solely by removing the excessive skin hooding of the eyelids or creating a double eyelid crease. It is a common misconception that larger eyes are achieved simply by double eyelid surgery itself. When necessary, a patient may also have to undergo horizontal eye enlargement to create the evenly shaped, larger eyes they desire. In terms of its vertical dimensions, the degree of the color aspect of the eye (iris) shown varies for women and men. Ideally, for women, 90% of the iris should be shown, whereas for men, 80% should be shown. If the amount of the iris displayed is less than the aforementioned dimensions, one will exhibit a tired or harsh appearance. For example, when less than 70-80% of the iris is visible, it gives one a tired appearance; if less than 60-70% is visible, it gives one a harsh appearance. This condition is called eyelid ptosis. Eyelid ptosis surgery corrects the weakness of the eyelid muscle and gives one an ideal vertical eye dimension. The horizontal eye enlargement allows for individuals to enlarge their eyes medially or laterally with the ideal eye dimensions that would appropriately fit the width of the face. Since Asians tend to have wider faces, the horizontal eye enlargement procedure yields a more suitable balance to the overall face. For patients with small vertical dimensions of the eye, vertical eye enlargement (ptosis correction surgery) will dramatically improve the patient’s overall appearance and feel to the eye and face. In case of prescribed medications, please inform the office. The prescribing doctor’s approval is required before discontinuing the medication. Please remove any metallic jewelry (earrings, necklaces, etc) before the surgery. They may interfere with the surgical equipment. Please wear a comfortable, loose buttoned-down or zipped shirt along with loose pants or a long skirt on the day of your surgery. You want to be as comfortable as possible during the surgery. Bleeding: Bleeding may occur 1-2 days after your surgery. Wipe the blood off your face with a clean tissue or gauze. Many people resort to various means outside surgery to create a double eyelid fold. Numerous Asian companies have been marketing so-called “eyelid tape” and “eyelid glue” as these alternative means. These methods have gained immense popularity among younger people for their relatively low cost and seeming harmlessness. However, these methods are temporary and damaging with prolonged use. With persistent use, the eyelid skin and tissue experience extensive trauma – the skin thickens and loses elasticity due to excessive stretching and inflammation from the tape and glue. Eyelid glue or tape can also lead to discoloration of the skin. Eyelid skin is considered to be very thin compared to other parts of the face and body and is therefore very sensitive. Subjecting such sensitive skin to irritation of glue or tape results in a premature loosening and thickening of the eyelid skin. Furthermore, double eyelid surgery becomes increasingly challenging to perform, as thicker skin requires extra measures for proper formation of a clean fold. 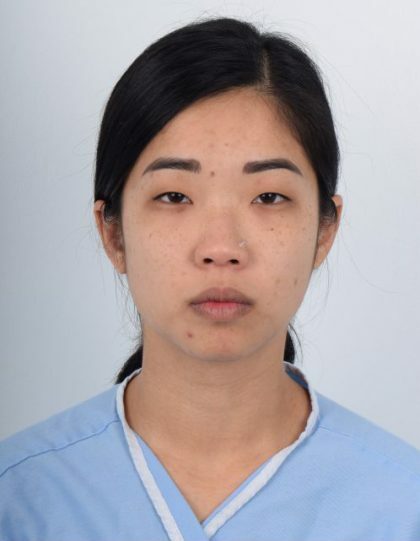 Thus, it is advised that patients avoid or immediately discontinue using such harmful measures, despite their temporary effect for double eyelid folds. The popularity of plastic surgery in South Korea, including double eyelid surgery, has exponentially grown due to the heavy influence of the Korean entertainment industry as well as Koreans’ high value of aesthetics. In South Korea, celebrities and other entertainers in the media predominantly have larger eyes and tend to have double eyelids, especially females. Females in entertainment tend to have visible double eyelids while males tend to have less visible or non-visible double eyelids. With high-definition technology, even the slightest surgical eyelid scarring can be visible through television and media. Therefore, many of the newer, younger celebrities opt for the more minimally invasive surgical procedures for the eyelid. The mass media influence has made eye enlargement surgery one of the most sought after procedures in South Korea. 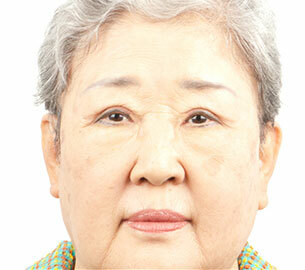 South Koreans of all socioeconomic backgrounds and of all ages seek double eyelid surgery. Today, Korean culture has evolved from its once more rigid and conservative nature to a more modern high-tech society. Korean society is fast-paced, emphasizing an importance on efficiency and expediency. As a result, plastic surgeons as well as patients seek to improve and develop ways to expedite recovery time. Per capita, South Koreans are known to undergo the most amounts of eyelid and eye-enlargement surgery than any other country in the world. In the area of double eyelid surgery, there has been much innovation and development since the 1990s. Prior to that time, very little research and advancements were made. Today, much focus and research has been placed on eyelid surgery and Asian rhinoplasty, contributing significantly to advancements in these fields. Double eyelid surgery and its results have tremendously improved, resulting in more natural and long lasting results compared to the more primitive techniques used in the past. (Refer to Overall Advancements in Asian Eyelid Surgery).